" Churches of Duns "
The Church at Duns can trace its history back to at least 1165 when one by the name of Patrick is recorded as parson. 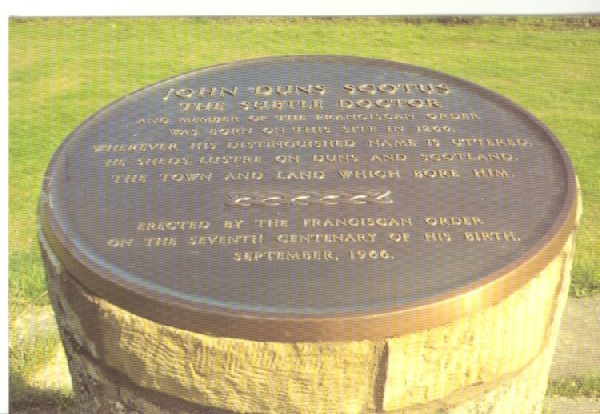 The Franciscan theologian John Duns Scotus was in all probability born at Duns in the year 1266 and a cairn at Pavilion Lodge adjacent the entrance to Duns Castle marks the believed spot. 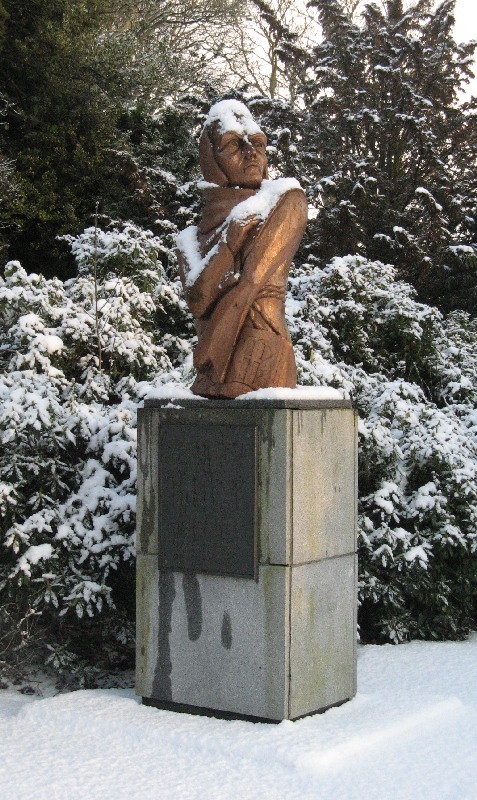 There is also a statute to Duns Scotus in the public Park erected by the Franciscan Order on the 700th. anniversary of his birth. The Town of Duns was probably initially situated on what is known as the Bruntons (or burnt town ) situated on the Castle Estate where there is an existing plaque and probably straddled to the Church and there is no reason to believe the church has not always been situated on its present site. This was the Church in which Thomas Boston preached in 1698 and it is recorded he felt faint in the pulpit but quickly recovered as there was "an aisle wanting some of the roof by which came a refreshing gale"
It was also the Church where Robert Burns possibly got the inspiration to his poem "To a louse" when he noticed the eponymous insect emerge from the well coiffured hair of a fine lady sitting on a nearby pew. In 1790 what essentially was still the mediaeval Church was demolished and a new Church built. Earlier the Church had experienced two secessions both of which had seen the intervention of military force and ugly scenes. This arose over the right of appointment of ministers. In 1736 the town 'superior' Hay of Drumpellier, on the decease of the previous incumbent, appointed the Rev. Roger Moodie to be the next minister. This was an appointment vigorously opposed by the majority of the congregation and after all legal challenges had failed the induction was only carried out under the protection of a company of militia. The embittered members of the congregation upholding their right to appoint a minister of their choice formed a Secession Church and appointed the Rev. Ralph Erskine as their minister. After some years worshiping in the open at Cumledge Brae a new Church was established at 53 Easter Street later to become known as Duns East Church. This is the Church of Thomas McCrie, the acclaimed biographer of John Knox. This Church in turn split in 1747 over the "Burgher Oath" i.e. on whether it was right and proper for a Church member to take the oath required by the Government of all holders of public office that "they affirm their approval to the religion professed in this kingdom." 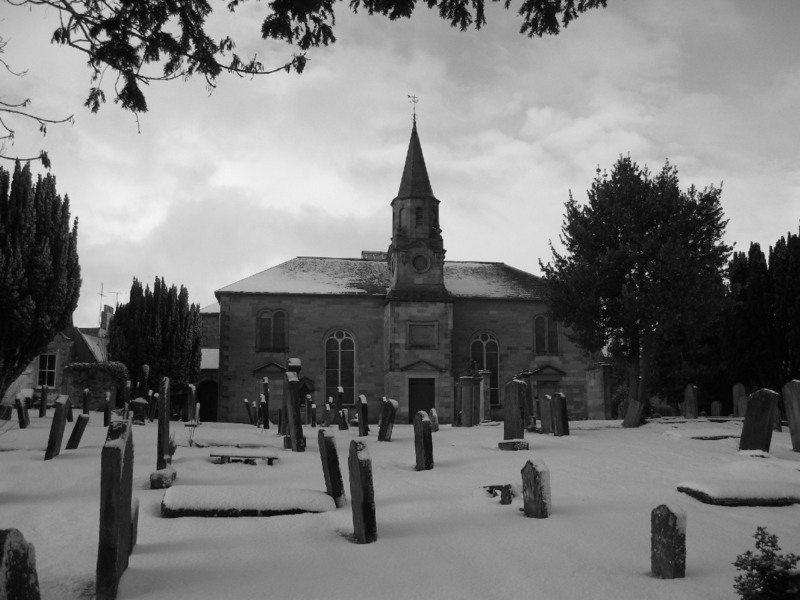 The Antiburghers retained the Church while the Burghers formed their own Church in what are now private houses at numbers 13 and 14 The Clouds, later to become known as Duns West Church. Meanwhile in 1748 on the death of the Rev. Moodie, Mr. John Hay of Belton presented the Rev. Adam Dickson as Parish minister. Again this appointment was bitterly opposed and many joined the Secession Churches. The opposition to this appointment went so far as the House of Lords before the Rev. Dickson was again installed by military intervention. Further disputes over the rights of patronage resulted in the establishment of the Relief Church in 1761. 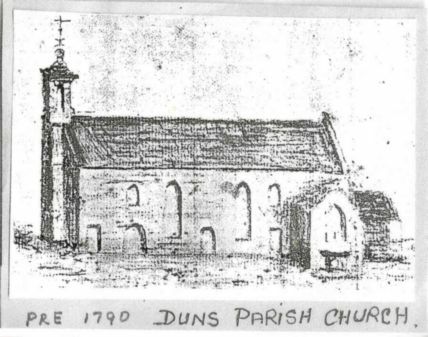 A congregation was formed in Duns the following year and a Church, later known as Duns South Church, erected in Currie Street in 1763 being rebuilt in 1851 (currently a carpet warehouse). In 1838 a quoad sacra Church was erected in Station Road but this was taken over by the newly created Free Church in 1843 and renamed The Boston Church after the well known churchman Thomas Boston born in Duns. The Church closed 1953. The west and south Churches united in 1895 and both in turn united with the Parish Church and the Boston Church in 1976 combining as the Parish Church. Around this time part of the graveyard of the Parish Church was lost due to road widening on Currie Street. The graves lost were principally communal ones for victims of the cholera epidemic of the 1830s with few headstones. A mortsafe from the time of the Resurrectionists was discovered which is now housed in the National Museum of Scotland.